Our dispute resolution services is an effective way to avoid incurring expensive and challenging problems occurring for your business. At Brian Lynch & Associates, our experienced commercial litigation team can help your business resolve any type of dispute. As your legal partner our primary objective is to protect your corporate interests. When those interests come under threat in the form of a dispute our team move to identify the key issues and how they can be resolved sensitively and conclusively. We have accredited mediators to assist with Alternative Dispute Resolution which can assist in avoiding Court. When Court proceedings are necessary we have an experienced litigation team to personally represent you and protect your business. No commercial, regulatory or threatened dispute is too insignificant or daunting when it comes to defending your business. Integrity, innovation, effort and excellence are the cornerstones of our business and our experienced legal team will ensure you are at ease no matter what your problem may be.  With a proven track record as one of Ireland’s leading law firms, at Brian Lynch & Associates our focus is on customer service and our achievements over the years ensures a legacy that you can trust and be satisfied with. We are results driven and tailor-made to meet your needs through hard work, commitment and expertise. COMPLETE OUR ONLINE ENQUIRY FORM, OR PHONE US ON 091-563131 TODAY.